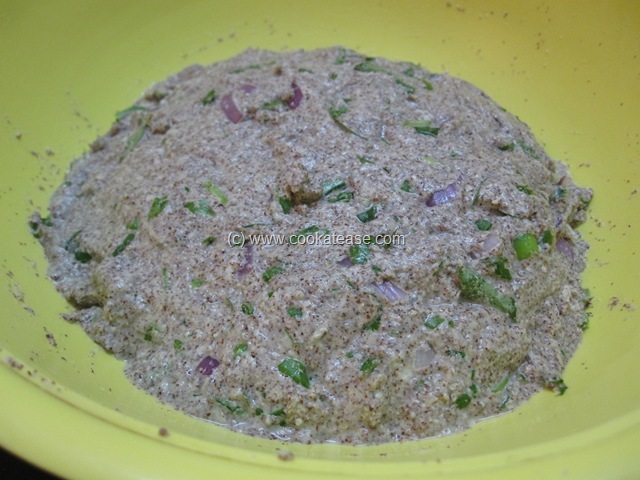 Tasty crisp kara adai can be made with beautiful brown ragi (finger millet) flour. 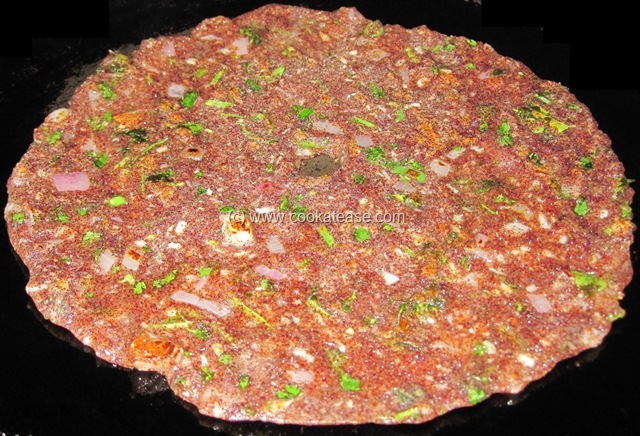 Ragi is very good for diabetic patients. 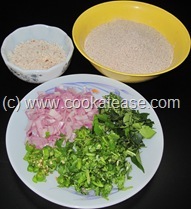 I add coriander, curry leaves and onions to make this adai. 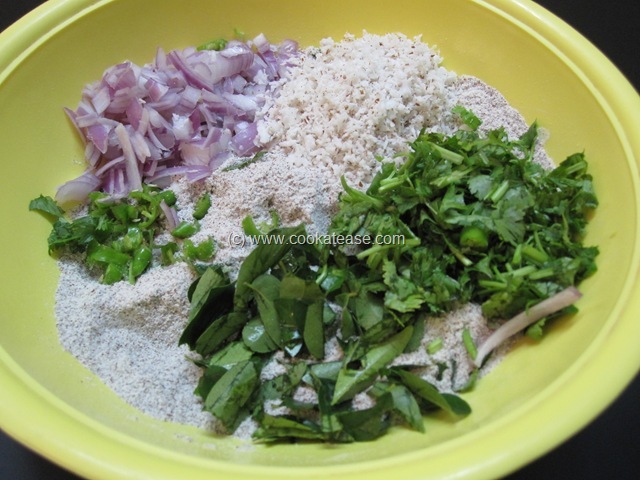 This gives extra fiber, taste and nutrition. Sometimes I add drumstick leaves or any other leafy vegetable. 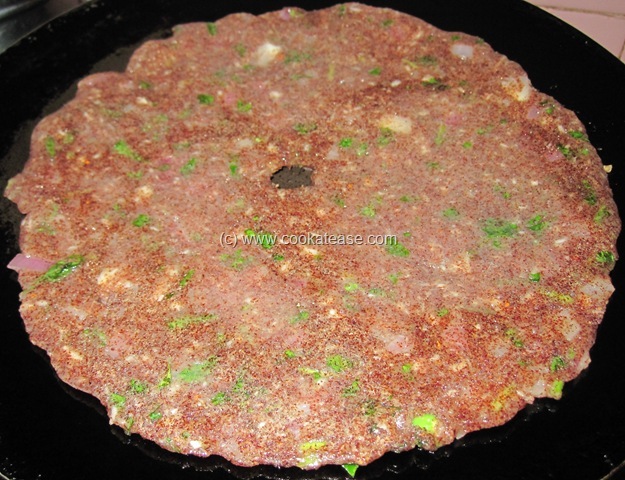 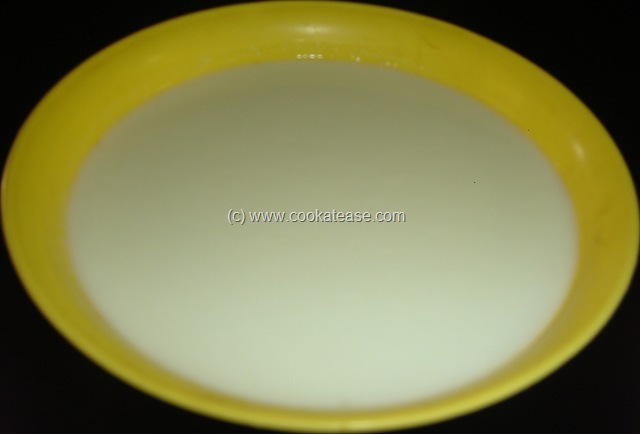 This adai can be prepared instantly without any soaking or grinding or fermenting. I prefer to have this adai for breakfast. 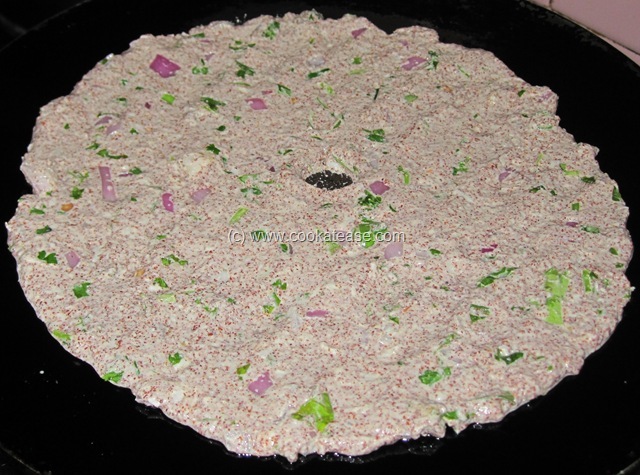 Put all the items, except oil and buttermilk in a bowl; mix well; add buttermilk and make a slight loose dough (if needed add little more water); slightly loose dough helps to spread adai easily on the tawa. Heat a tawa or skillet; when it is warm, grease and spread handful of dough thinly; make a small hole in the centre and add a drop of oil to make it crisp in the centre also; add little oil on the periphery and cook for few minutes in low flame. Turn and cook the other side also; repeat this for the remaining dough also. 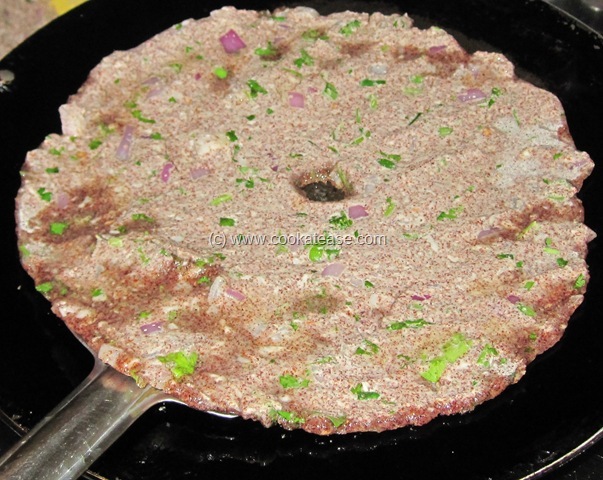 Those who are not used to spread adai with hand on warm skillet, spread it on a plantain leaf or aluminum foil then lay it on hot tawa. Adding 1 table spoon of wheat or all purpose flour helps to spread and bind ragi flour. Can this be done using rai sprouts? Yes. 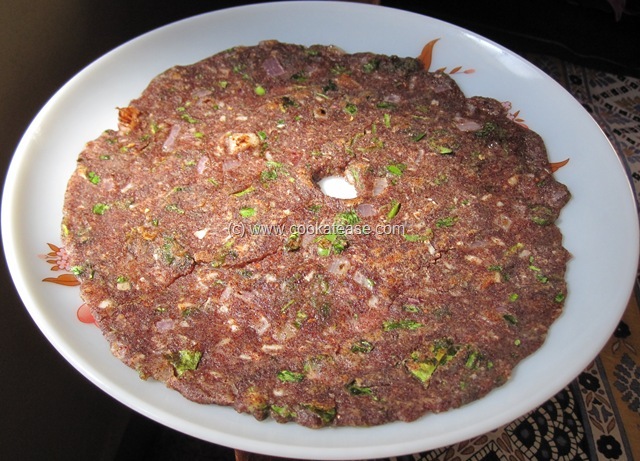 You can use sprouted ragi also. 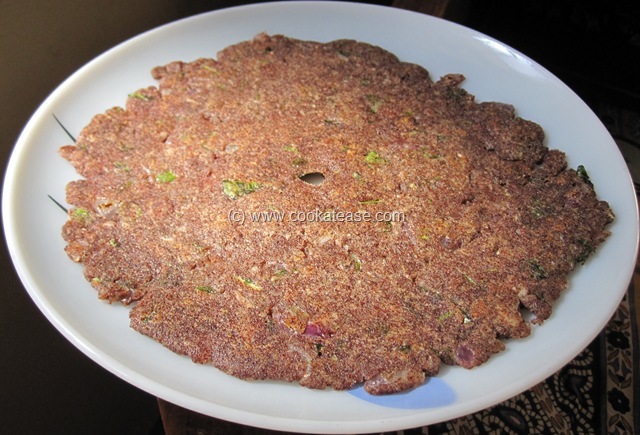 Sprouted ragi flour is also sold in the market.